How do you introduce change management to the stakeholders of a project you are supporting? 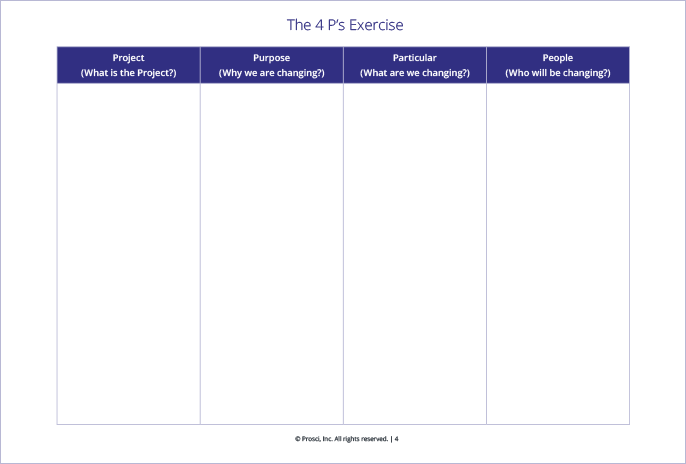 Below is the Project-Purpose-Particulars-People exercise for helping an audience see the connection between change management and achieving business and project results. This is an activity you can complete anytime, anywhere to jumpstart a discussion on change management. All you need is a blank sheet of paper and a project that your audience cares about. Rather than starting with "here is change management," start with a simple analysis about the nature of change and of their project to demonstrate why change management is a critical success factor and should have a seat at the table. The goal of this exercise is to show the connection between the project, the intended outcomes and the employee groups who will be impacted by the effort by slowly and purposefully identifying four key elements of the change. The most important thing you can do is help your audience make this connection themselves. While it may seem like common sense, the impact for the audience can be significant. Walking project leaders, project teams, senior managers and change sponsors through the process below helps create the "ah ha" moment that cannot be achieved by simply telling someone about the importance of change management. The exercise is a simple build. Start by creating four columns on a blank sheet of paper. If you are facilitating this as group discussion, you may use a white board or flip chart. You can also have each person create their own columns on a sheet of paper in front of them. Begin by having your audience label the first column Project Name. Have your audience pick a project they are familiar with and that is important to them and write the name in the first column. What is the project we are thinking about? Examples include: Global ERP, Supply Chain Optimization, eBenefits 2.5, Create PMO, etc. Next, label column two Purpose. Here, have your audience write down the specific goals or outcomes the project is trying to achieve. Why are we doing this project in the first place? What is the benefit to the organization? Examples include: Reduce cost, increase revenue, improve margin, introduce new product, reallocate inventory, streamline business processes, merge parts of the organization, implement unified data source for entire organization or implement common business practices. The third column is labeled Particulars. In this column, write down exactly what will be changing in the organization - the nuts and bolts of the change. Document the specific impacts to business processes, systems, tools, job roles or organizational structures. Really work to describe what will be different in the future than it is today. Have your audience label the final column People. Here, identify who in the organization will have to change how they work. Whose day-to-day activities will be impacted by this project? Who will be doing things differently after the project is implemented? And, the answer "everyone" is not good enough - you need to be specific! The four columns in the Project-Purpose-Particulars-People exercise, and more importantly the process of labeling and filling in each column, helps create a context for the project. It ties the project to why it is happening, to what specifically will be changing, and most importantly to who will be impacted by the change. The connection between the columns is the key. When you use the exercise with a project team, you are forcing them to think about the individual impacts of their project or initiative. If we do not manage the people side of change, it really doesn't matter what specific changes are architected (in the Particulars column) because they won't be realized. And if people don't change how they do their jobs, we ultimately won't achieve the benefits we were looking for from the project (in the Purpose column). Return on investment will not be realized. The project will not deliver results. The outcome we are looking for might sound something like: "Thank you for helping me better understand the initiative and the impacted groups for this effort. 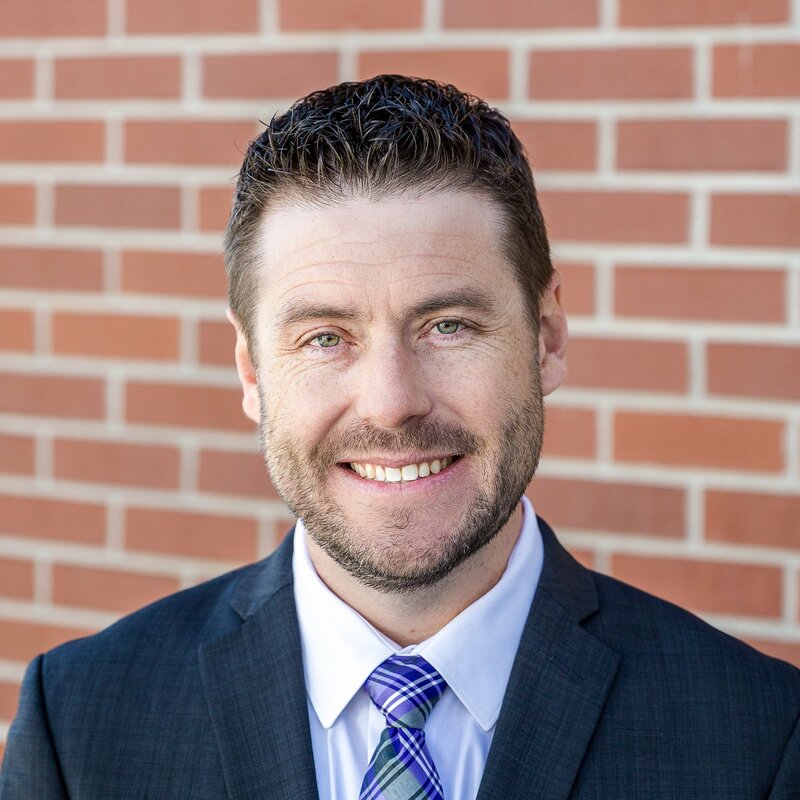 Now that we have an inventory of who has to adopt the change for the project to succeed, I can begin creating change management plans and activities to actively engage these groups." On a single sheet of paper, this exercise allows you to make the connection between the project, the intended outcomes, the specific technical changes and the individuals and groups who must adopt the change. Helping a project team identify and inventory which employees have to do their jobs differently is an important anchor and starting point for effectively positioning change management. Once you have your audience saying, "Yes, we must do something about the people impacted by this change," you are ready to move forward. The next step is to apply a structured approach to managing that change.